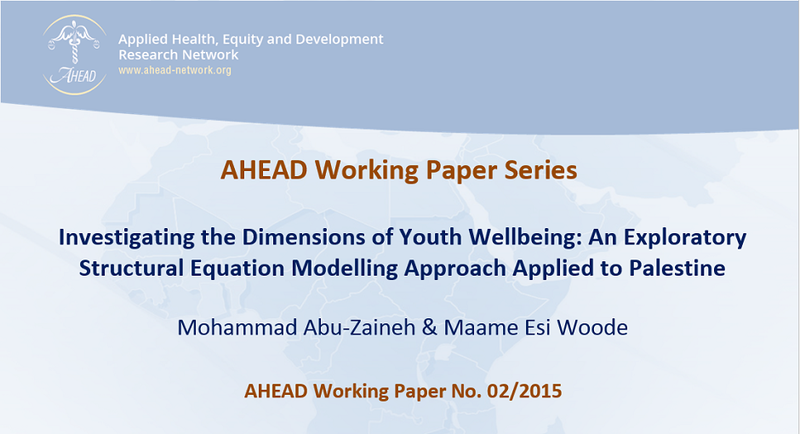 This paper illustrates the capability approach to the measurement of youth wellbeing using the newly developed exploratory structural equation modelling (ESEM). It offers insights into how the capability to achieve wellbeing can be measured in a conflict-affected and resource-constrained setting. The methodology is applied to nationally representative data taken from the Palestinian Family Survey. The population of interest is youth aged 15 to 29. Results show the importance of capabilities for indicators in other dimensions. It is especially important to note the effect of knowledge capabilities on both health knowledge and living conditions indicators. Results also confirm the importance of some (exogenous) factors in the conversion of capabilities into achievements. Capabilities are shown to be highest in the West Bank for both knowledge and living conditions compared to the Gaza Strip.